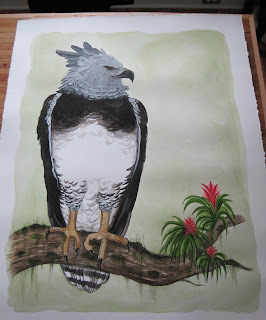 Last week I finally completed a commission for a large (well, large for the way I usually work) scale watercolor of a South American Harpy Eagle (Harpia harpyja). I did some preliminary sketches and posted those here a couple of months ago, but the final painting was roughly 30 x 40 inches. It was a good challenge to work at a larger scale. It would have been great to have a live bird to reference, but alas, no trips south for me at this time. Instead I had to rely on photographic references and one of the specimens of Harpia harpyja we have at the Field Museum. A great piece, and lovely camera work! You look especially fetching in that top photo. (What kind of camera is that, anyway? We need to upgrade). Great work, I'm sure the buyer - patron? - will be thrilled. A larger scale is fun to see too, but don't go changing the name of your blog to the medium size aviary. More seriously though, I think it is a good idea to write about all your work here. Thanks guys! Christy: My camera is a Canon Powershot SD1200. I went to the store and asked if they had anything that would make me look extra fetching. They suggested Photoshop, but I already have that, so I got the camera instead. 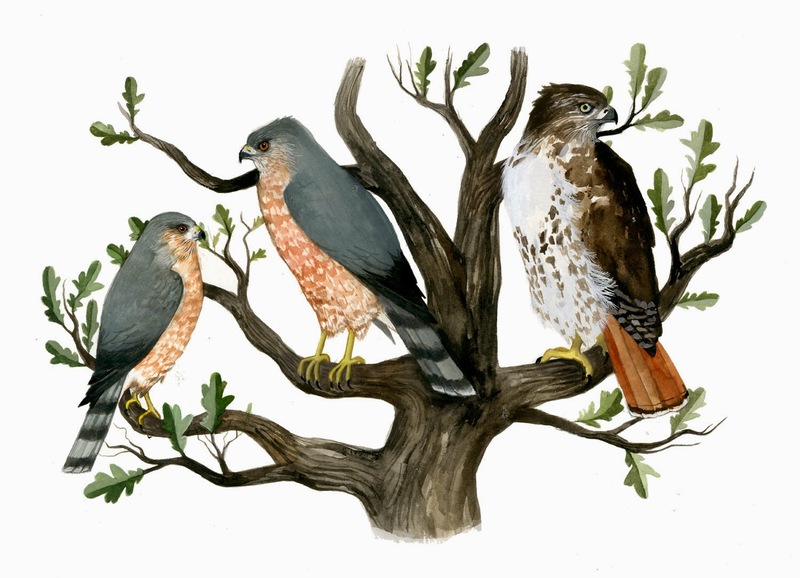 And Mark, no don't worry, won't be changing it to Medium Size Aviary, but seriously considering Slightly Larger Aviary. 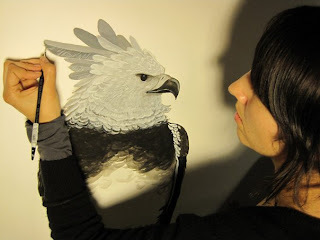 I love that photo of you and Mr. Harpy :) Stunning! And as the others have commented, you look fabulous and fetching too.